Over Christmas, my family and I traveled to my hometown, in the suburbs of Chicago to spend Christmas with my side of the family. It was the first time my daughter would be spending Christmas in Chicago as well as her first time seeing snow. I was really excited for this trip. Parts of the lake we frozen over, it looked like a mini-Antarctica. Unfortunately, I wasn’t able to make it to those parts of the lake. 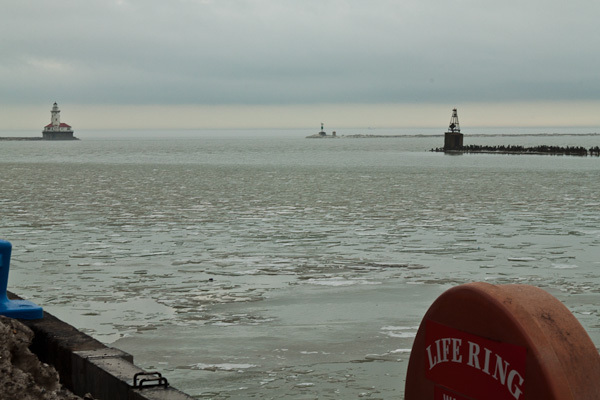 Over by Navy Pier, there was a little bit of ice but it was not completely frozen. 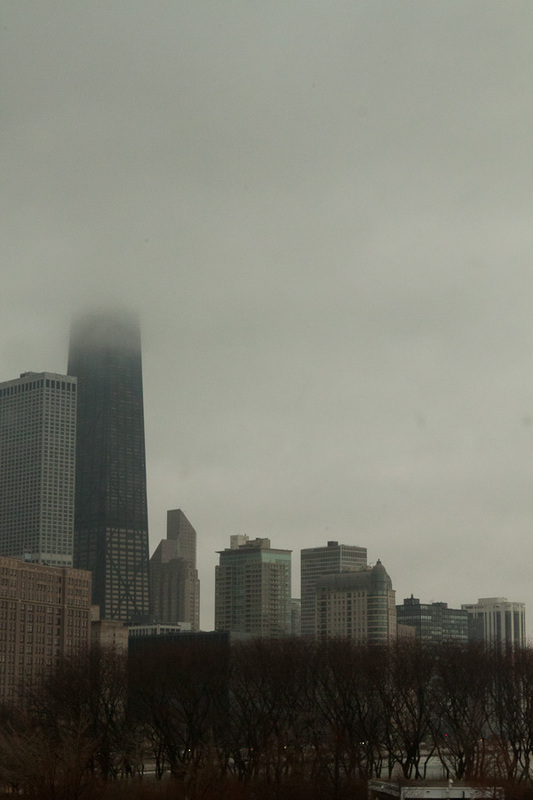 I loved seeing the skyscrapers disappear into the clouds. I’ve always wondered what it would be like to work so high up and yet not be able to see anything. Anyway, one of the cool things about the Children’s Museum, aside from watching my daughter have a ton of fun running around, was that it was at the edge of Navy Pier that was closest to the city. 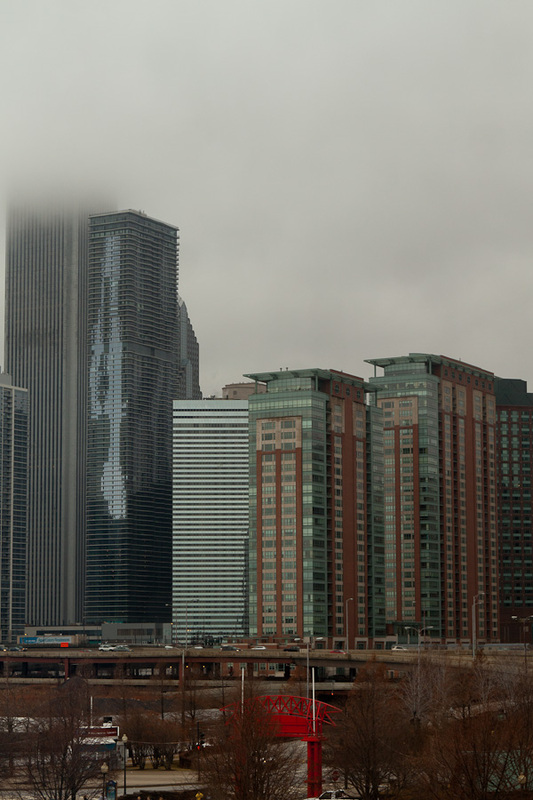 So, some of the windows face the city, allowing for some nice unobstructed views. It was a fun trip, though not totally uneventful (but that is a story for a later time). I have many more pictures to share and will be in the next couple of weeks. 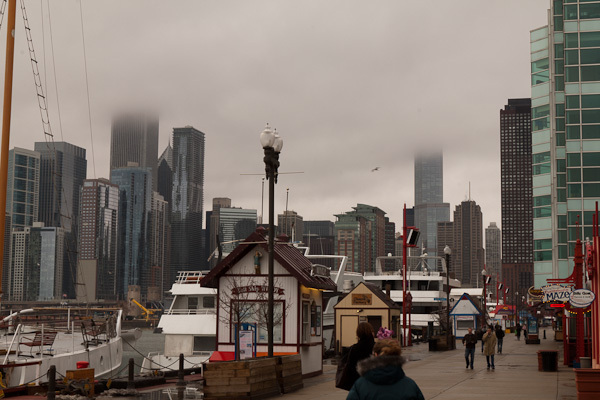 Until then, here is one last shot of the Chicago skyline seen from Navy Pier.